VSPEX is a platform specification from Dell EMC to guide the building of systems for converged and hyper-converged infrastructure (HCI). Customers can select full reference architectures or appliance-based deployment options. Customers can use VSPEX to guide them in building systems for their own private cloud or virtual desktop interface (VDI) needs. With its included Blue manager software, VSPEX offers multiple options in virtualization, compute power source and networking equipment; building around EMC’s storage and data protection. VSPEX includes specifications for 14 different use case systems. The VSPEX specification was collaboratively developed by EMC, Brocade, Cisco, Citrix, Intel, Microsoft and VMware. VMware was acquired by EMC in 2004; EMC was subsequently acquired by Dell in 2016 and renamed Dell EMC. 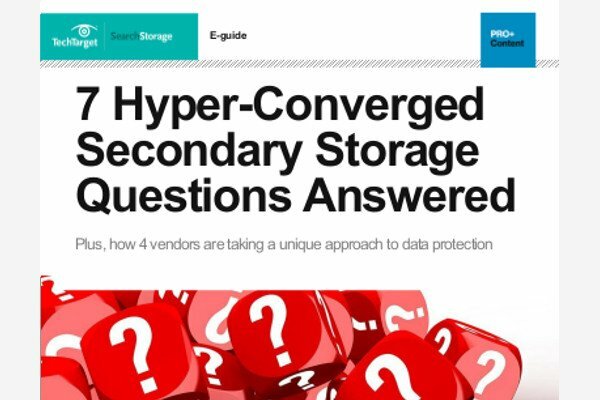 VSPEX Blue was EMC’s rack-based hyperconverged infrastructure appliance offering, since replaced by VxRail. Is it a good idea to use a reference architecture for VDI? Why or why not? yes, reference architecture, followed up with a production pilot. the RA provides the base and the pilot irons out any real life issues not visible in the RA. Yes, provides a sensible start point to build on.